Originally from North Carolina and now calling St. Louis home, Nikki Hill is the real thing: a roots rock ‘n’ soul star with the talent of Etta James and the megawatt charisma and sheer detonating power of artists like Rachel Nagy of the Detroit Cobras and the late, great Nick Curran. Her band features a solid rhythm section in Ed Strohsahl (bass) and Joe Meyer (drums), not to mention a well-known guitarist in her husband, Matt Hill, who won in the Best New Artist Debut category in the 2011 Blues Music Award balloting. 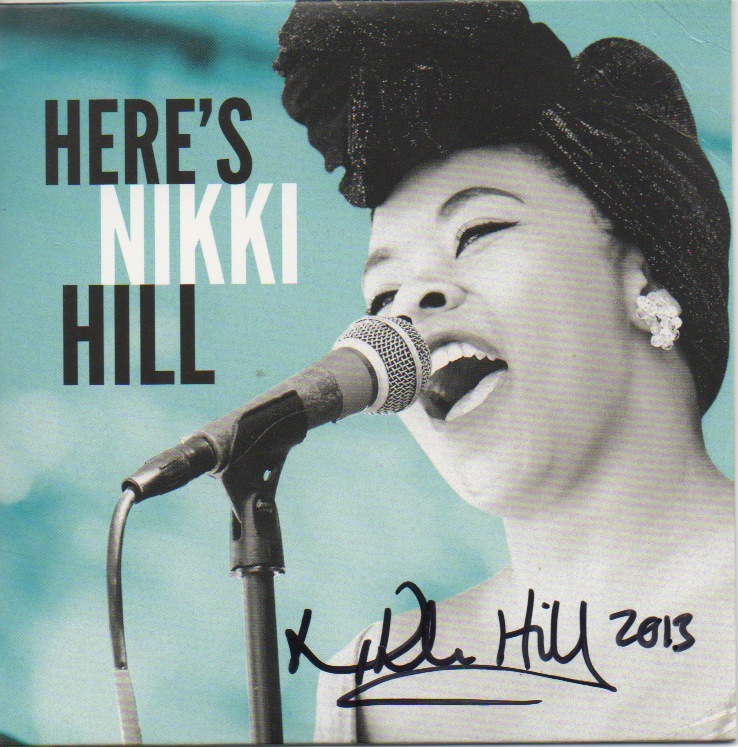 Nikki Hill dropped a four-song calling card in the form of a self-titled EP last year. Now the singer-songwriter has folded that impressive debut into a full-length album, Here’s Nikki Hill. It is outstanding. Four songs are drawn from the EP: the fierce, Delta-style boogie of “I’ve Got A Man,” which gives the Jelly Roll Kings a run for their money; the majestic deep soul ballad “Don’t Cry Anymore,” propelled by Matt Hill’s staccato chanks on his guitar and Steve Eisen’s one-man saxophone section, sung at a slow burn (“It’s too late, and I can’t put out the fire” indeed! ); and “Strapped To The Beat,” a sassy roots rock number with a boogie-woogie guitar line out of Carl Perkins’s “Matchbox,” again featuring Eisen. 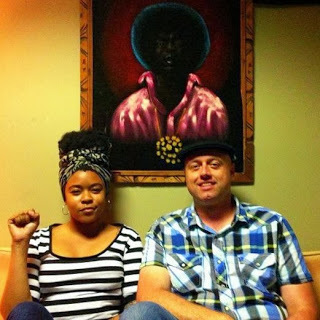 The languid, sultry groover “Her Destination” interprets the “nothing can keep me from my lover” theme, even quoting “Ain’t No Mountain High Enough.” For Here’s Nikki Hill, the cut has been re-recorded to eliminate the saxophone that was prominent in the original version. It now boasts a tougher vocal, dirtier guitar tones, and a snarling solo, with the effect of making the overall atmosphere even nastier and more pheromone-charged. Here’s Nikki Hill’s new material is thrilling. With its soul-clap drum hits, distinctive bent-note guitar figure, and vicious solo, the phenomenal “Ask Yourself” is reminiscent of Irma Thomas’s 1963 platter, “Hittin’ On Nothin’.” “Right On The Brink” serves dramatic, minor key soul over a churning beat, interspersed with ominous breakdowns that are the aural equivalent of the storms of which Hill sings. “Gotta Find My Baby” sways with a fevered urgency, coming from somewhere in the R&B neighborhood frequented by Don Covay, Ike & Tina Turner, and Eddie Hinton. It is irresistible, from the groove to the speedy amplifier tremolo to Hill’s guileless yet suggestive delivery. Even her “Do-do-doos” are knockouts. Hill reaches back a few years stylistically for “I Know,” the Barbara George hit out of New Orleans that Freddie King also covered. Her splendid phrasing and some well-placed growls and squeals really bring this to life; Hill’s guitar break, sketching the melody and accentuating it with tremolo picking and pedal steel-like bends, is top notch. 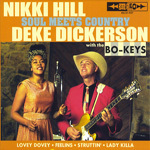 Hill completely reimagines the album’s other cover, shifting “Who Were You Thinking Of?” from the Tex-Mex treatment it received in the hands of Doug Sahm and Texas Tornadoes to a ska foundation–only the twanging lead guitars hint at the song’s origins. The audacious move works perfectly. The playlist eases out with a smoky gospel-inflected ballad, “Hymn for Hard Luck,” that left me marveling at the understated power created by just Nikki’s voice and Matt’s electric guitar. Here and across the board, the sound has a delicious vintage vibe, owing to the attentive ears, Grail-like gear, and matchless musical hipness found in the confines of co-producer Felix Reyes’s House of Tone, a Chicago area studio quickly becoming known as one of the world’s premier recording facilities for roots and blues music. If she keeps making records like this, Nikki Hill cannot miss. She is already wowing audiences on the blues and R&B circuits in the US and Europe, and at the same time knocking ‘em out on the rockabilly scene. I daresay Hill also has the kind of soul and style it takes to conquer the rootsy corner of the (punk) rock universe inhabited by acts like Rev. Horton Heat, Detroit Cobras, and Social Distortion. So get hip if you ain’t, buy Here’s Nikki Hill, tell all your friends about her, and you can say you were in on this explosion at the beginning.